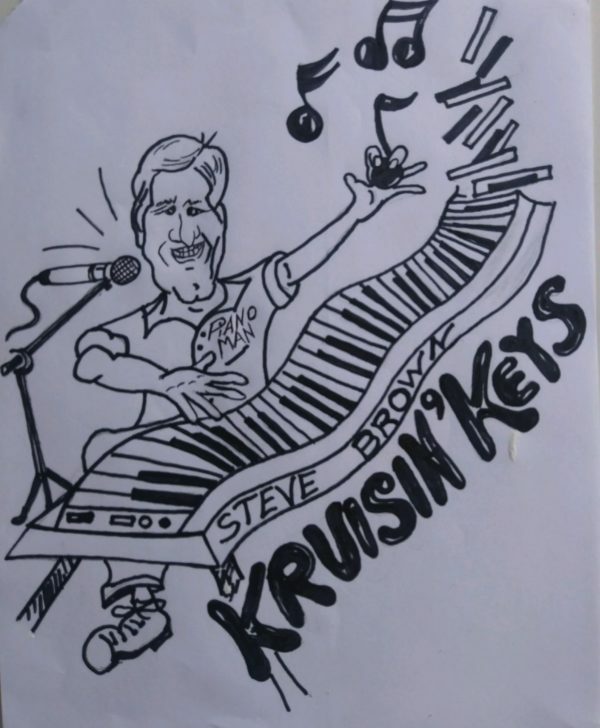 Steve Brown has been performing live music and entertaining audiences in the north central Ohio area and beyond, for over 30 years. He plays for private parties, receptions, celebrations, festivals, concerts; and public venues including restaurants, wine bars, sports bars and microbreweries. 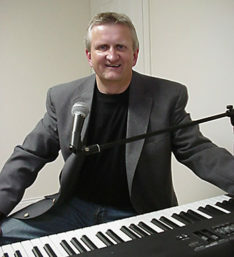 A versatile keyboard player and singer with a unique blend of jazz and pop style of playing, he covers a variety of musical genre including jazz standards, blues, 60’s-80’s pop, classic rock and oldies rock and roll. His wide gamut of material is demonstrated by his incredibly diverse repertoire of over the 500 songs. A typical set might include Nat King Cole or Frank Sinatra, to many of the great hits of Billy Joel, Elton John, Beatles, Jimmy Buffett, Elvis Presley, Eagles, Doobie Brothers, CCR, Journey, Steely Dan, Neil Diamond, James Taylor, Neal Young, Gordon Lightfoot, Stevie Wonder, Van Morrison, Bob Seger and many many others. When performing, Steve connects with his audience and is happy to play requests. Steve has been more in demand as a solo performer, but he can also provide anything from a duo or trio to a 4-6 piece band. Depending on your venue, budget, event or your taste in music, he can customize the music – instrumental jazz, classic rock, 50’s-80’s pop, or a combination of all. Steve Brown is a member of the American Federation of Musicians, Local 159, Mansfield, OH. He is now booking engagements into 2019. 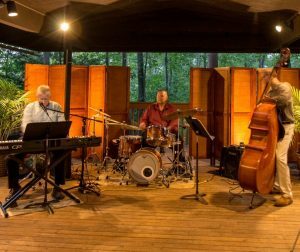 Jazz – if your venue or private event is in need of authentic live jazz music, Steve can play jazz piano with or without vocals, OR provide a great jazz trio or quartet. He specializes in the Great American Songbook, with no prerecorded backup tracks. Senior Communities and Assisted Living Facilities – some of the most appreciative audiences are our wonderful senior citizens. Steve can provide an hour of the great music from the American Songbook. From Frank Sinatra to early Elvis Presley, he is always able to put a smile on faces. For these venues, he is happy to offer special pricing. Only Original Music for your venue? – if you refuse to pay the licensing fees from ASCAP and BMI which means you cannot provide copyrighted music in your establishment, Steve can bring you his “Outside the Covers” show. He can play up to 3 hours of original jazz and blues along with some original or public domain songs. DO YOU NEED MUSIC FOR YOUR PRIVATE EVENT? He is available for any special event including anniversaries, birthdays, wedding receptions, class reunions, dances, cocktail hours, banquets or corporate events. If you have a larger budget and would like a band, he can provide a trio or up to a 4-6 piece band. NEED MUSIC FOR YOUR WEDDING CEREMONY? Steve Brown can make your special day even more special by performing music of your choice from classical to contemporary, sacred to secular. He can play solo piano or can include other musicians including flute, violin, trumpet, guitar or vocalist. He always meets with the bride and groom to discuss the musical choices. If you have a vocalist selected for your wedding ceremony, he can provide piano accompaniment. If your wedding ceremony is in the same venue as your reception, he can easily move from one location to another and provide music for both. TOP 5 REASONS that Steve Brown is a great choice for your venue. Reasonable Volume in a Small Space – many restaurants or pubs aren’t designed for full bands. It’s just Steve, his full sized digital piano and his small Bose tower sound system. He keeps the volume down so customers can talk. Of course if you have a larger room, he can always “crank it up a bit”. More Affordable – you are only hiring one guy. Steve may charge a bit more than other solo acts, but you are getting top quality. If you want a bigger sound or have a larger budget, he can also work as a duo or trio. 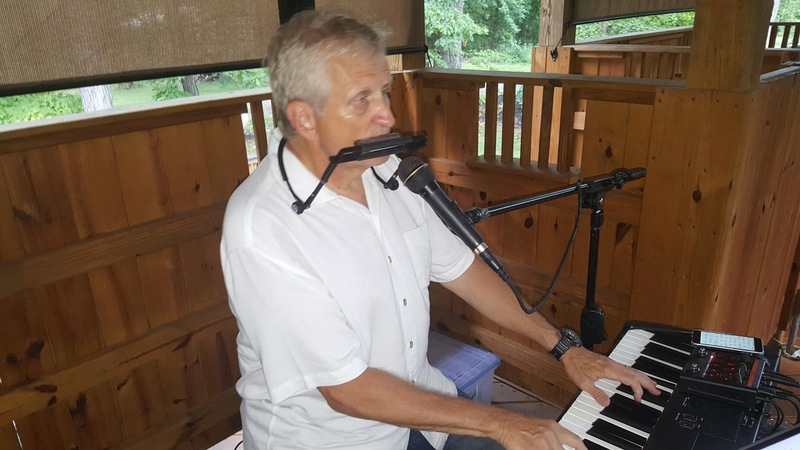 Large Variety of Music– with a repertoire of over 400 songs, including everything from the jazz standards through the 70’s and 80’s, he can start out by providing softer music to enhance the dining experience. For the listening and drinking crowd, he can kick it up a notch and get into high energy mode. These are the songs that people love to listen to and sing along with – favorite requests are “American Pie”, “Brown Eyed Girl”, “Sweet Caroline”, “Living on a Prayer”, “Piano Man”, and many more. Personable and Professional – Steve gets to the gig early and works with management to make sure the evening will be a success. With his background as an educator and presenter, Steve is very comfortable talking to the crowd, both while he is playing as well as during his break. 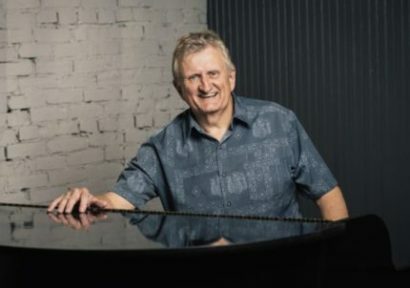 He is the Piano Man – Steve Brown is different from most solo acts because he creates a “piano bar” atmosphere, with no loud guitars or drums; just him at the piano singing and playing the songs that people want to hear. Customer requests are a specialty. When the audience is enjoying his music and having a good time, he is having a good time. The instrumentation includes Steve on keyboard and two additional musicians. It could be one of many different combinations including piano/bass/drums, piano/bass/trumpet, piano/guitar/trumpet, piano/guitar/trombone. 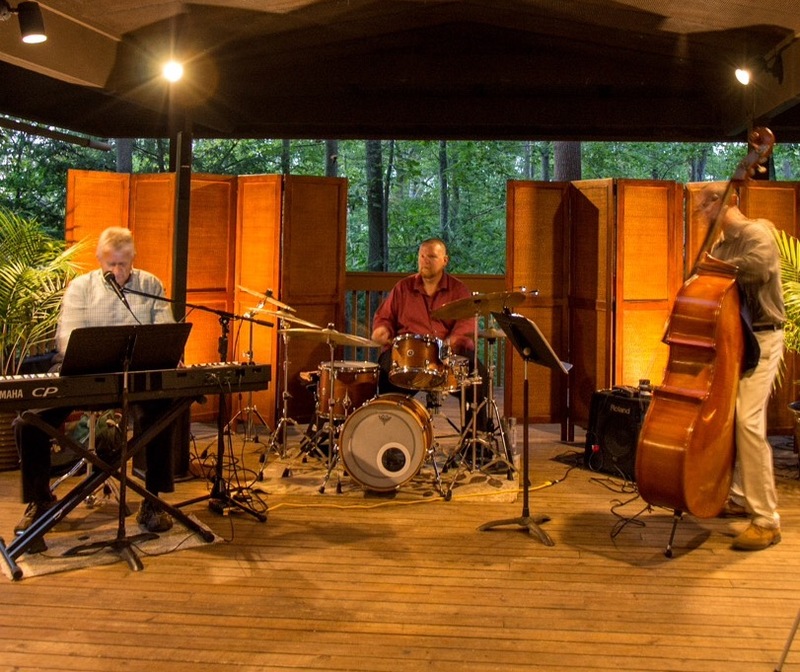 This is a traditional jazz trio, specializing in swing, blues, and ballads, including some vocals. Additional instruments can be added to result in an awesome jazz combo. 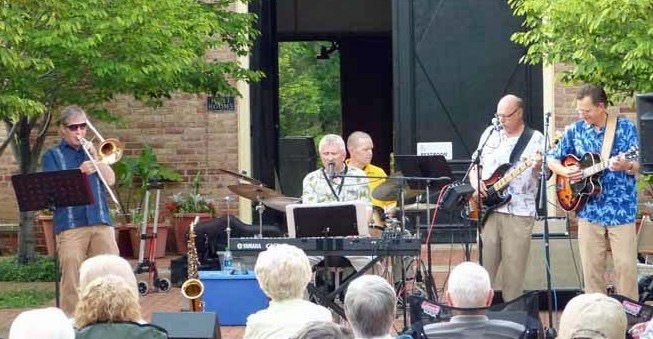 This is a 3 – 5 piece band specializing in 50’s–70’s rock and roll, jazz and blues. Instrumentation consists of keyboard, bass, drums, and vocals. A guitar and horn can also be included. This combination provides a unique sound perfect for background music or entertainment for a smaller venue.